Hi guys, I recently got a Pearl Ultracast 14x6.5" and made some samples for my own uses. I've decided to share them with you all for free too. You'll have to cut them up yourselves and I'm no drummer so apologies for any inconsistent hits. I did 4 each of extra-soft, soft, medium, hard, and rimshot hits. Top mic used was an SM57 through a Chandler Germanium pre, the bottom mic was a Charter Oak SA538 through an Audient pre. I've added some compression and light EQ but you may well need to take it further for use in your mixes. Enjoy! Hey Nolly. Is there a way I can download these still? Thanks in advance. THIS THE MOST COOLEST BRUTAL SOUND I EVER HEARD!!! Nice sound, gonna use these in a electronic tune. Download Free Snare Samples(!) 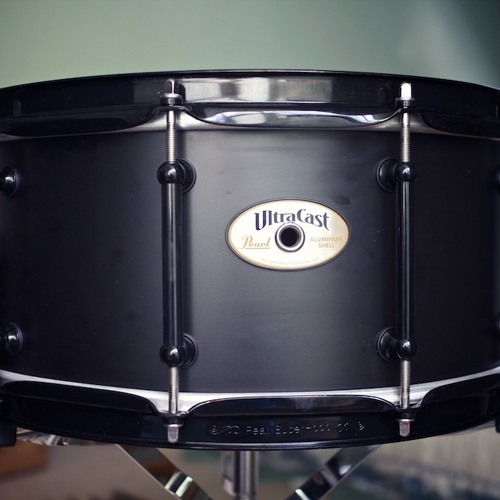 - Pearl Ultracast 14x6.5"
Users who like Free Snare Samples(!) - Pearl Ultracast 14x6.5"
Users who reposted Free Snare Samples(!) - Pearl Ultracast 14x6.5"
Playlists containing Free Snare Samples(!) - Pearl Ultracast 14x6.5"
More tracks like Free Snare Samples(!) - Pearl Ultracast 14x6.5"